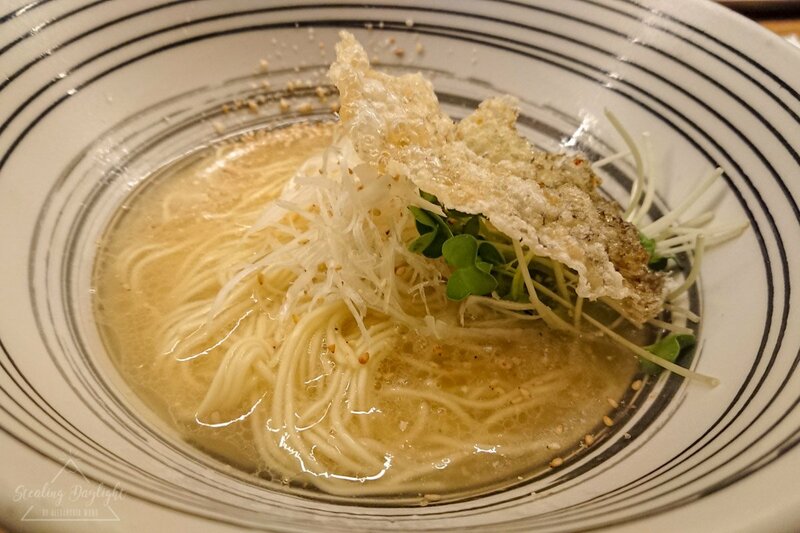 When talking about Tokushima Ramen, it is hard to not imagine a thick soy sauce broth with obvious sweetness, loaded with shiny raw egg yolk and tender pork belly, along side with cripsy sprouts and green onion. The whole bowl is so powerful and overwhelming. Nonetheless, I had an exceptional encounter with a light ramen, thousand miles away from the traditional flavor in Tokushima. 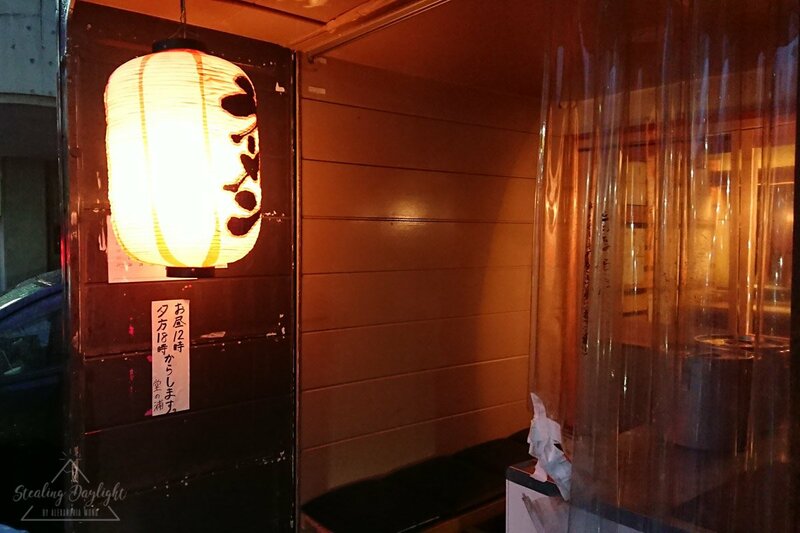 I found Donoura Ekimae (堂の浦 駅前店/ Donoura in front of the Station) on Tabelog, the Japanese version of Yelp. It’s specialty is sea bream and salt soup base ramen. Donoura Ekimae takes best advantage of Tokushima Prefecture’s famous catch, sea bream (鯛), as the backbone of their ramen creation. As the shop owner’s parents runs a fish catching business ‘Doura’, getting the freshest sea bream out of the churning Setouchi Sea is a piece of cake. The above price is as of September 2017. Some rice and appetizers are slightly pricier than that, but the most important ramen of all remains the same price. Sitting on the bar table, the chef directly took order from me. 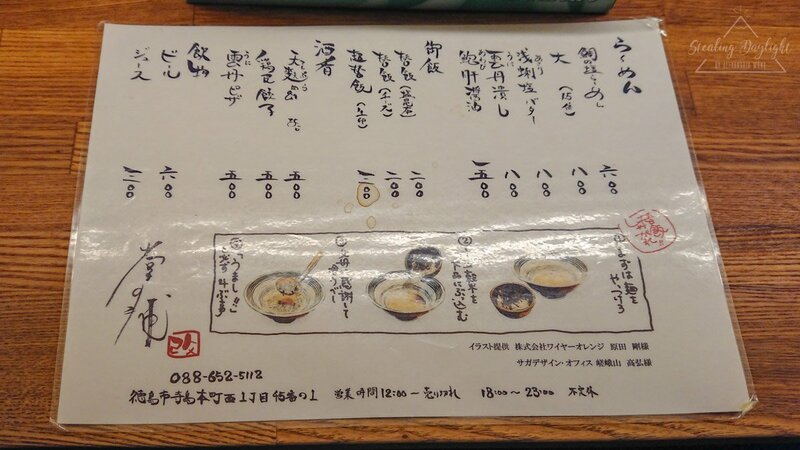 I order the most famous sea bream ramen. The fuming ramen arrived in just a few minutes. 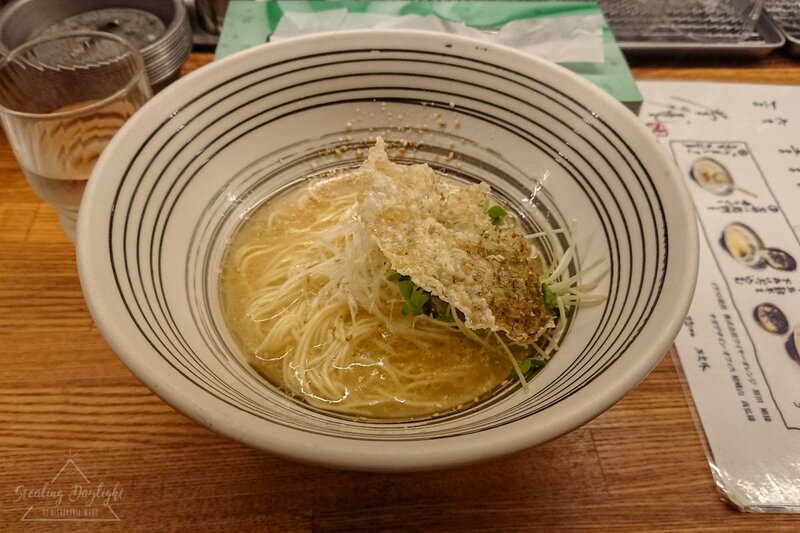 The sea bream salt broth is very delicate, with the help of the deep fried crispy sea bream skin, everything is totally different from traditional Tokushima ramen. The unique fragrance in sea food is a perfect match with the thin, straight ramen noodle. This ramen on costs ¥600. The size is seemingly not big enough? 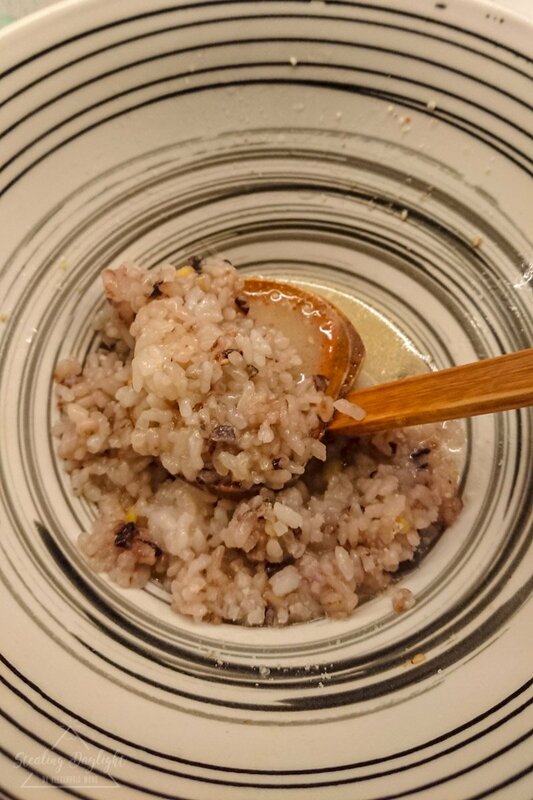 No worries, since Donoura purposefully let you have enough space in your stomach, in order to taste the almighty 15-grain rice (替飯/ Kaemeshi) with the remaining broth. The rice comes in 3 flavor: salted seaweed (塩昆布/ Shiokonbu), cheese (チーズ) and raw egg (生卵/ Nama Tamago). I chose rice with cheese. 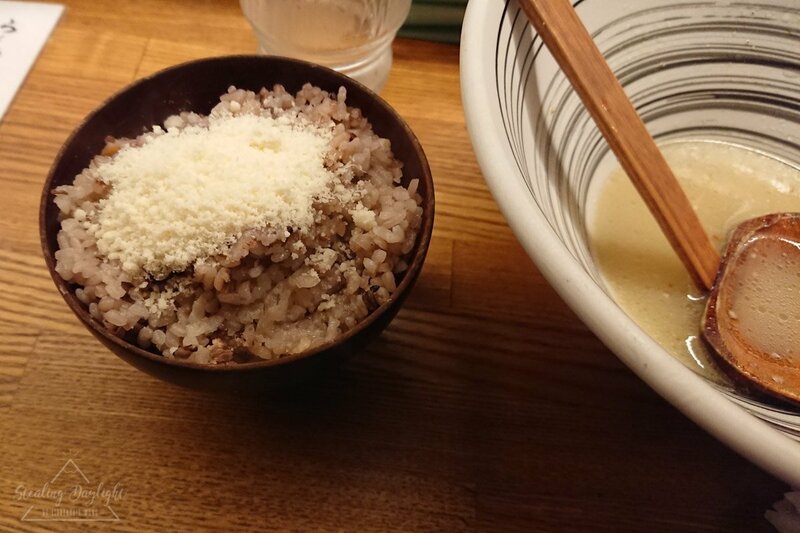 It blended into a creamy soup, and the 15-grain rice the very good at soaking up all the essence of the broth. Donoura is definitely a must-go ramen shop in Tokushima, if your want to try something different and delicious at the same time. 琴平體驗 ➞ 中野烏冬學校 | ※推介※ 超越語言界限的樂趣!用全身上下製作烏冬吧!